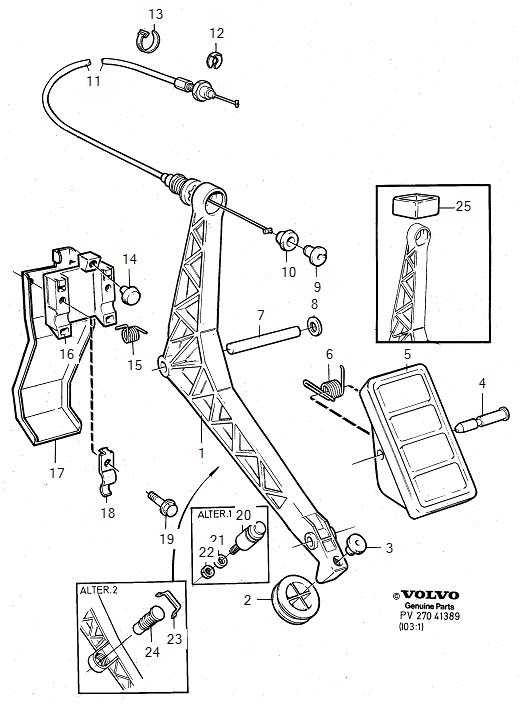 I really need one of these parts #1272669 . its for a Volvo 240 D24. or if anyone else has info on what else will work? I picked up a 240 that was swapped with a d24 and the b230 throttle cable isnt long enough . D24 and d24t using the same part?? It's really about the way it mounts and the specific length. I just wanted to update and say that a member of this forum has helped me out with this problem. I also found another gentleman off instagram that was able to snag one for me but it's not near as good of shape as the one from this forum! That's a slough full of Volvos. Any progress on the Volvo truck? Is there a "trick" to maintain and reinforce this hard to find part, to have it last longer? I had some new brake lines made for the front brakes. I need to retro fit some new master cylinder reservoirs. I have not cleaned the injectors yet but they seem to be running fine. It still runs and drives I just and not so sure about taking it too far from the house yet because a break down is at least a $500 tow. I am using it for storage of a lot of my volvo parts though. I can move it around and use the lift gate which is very useful. The parts for these trucks aren't there anymore. I have even talked to mechanics that work on these in Sweden and they said there are no parts. So far it has a 2013 freightliner coolant reservoir on it . I need to reseal the clutch master cylinder as well and am having no luck finding parts for it . I wanted to buy a second truck to pull apart and rebuild parts but people still want some money for them and if they arent down the street like this one was then they are a penny to move . All of these volvos are slowly making it back on the road. Most run and drive. I have a few to choose from to drive to work and back . When one needs fixing I just swap out and drive another. The parts are becoming hard to find and the cost is going up on them all so I am reluctant to get rid of any of them and have been collecting them the past years. 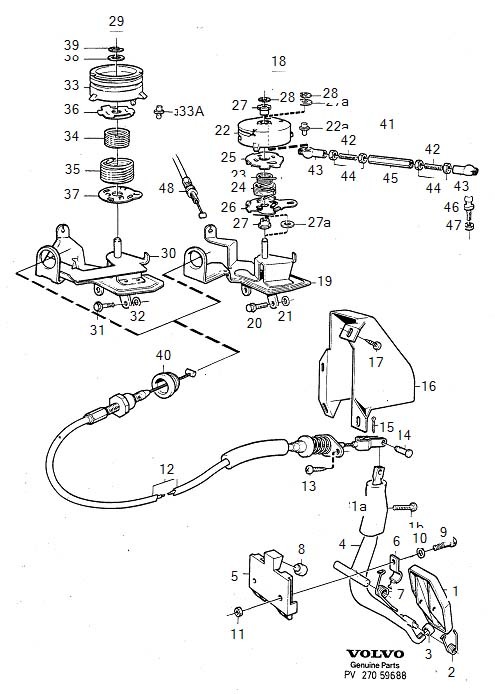 D24t and d24 THROTTLE CABLE UPDATED PART NUMBERS. This part number replaces the above mentioned (exploded parts view) d24T throttle cable. $33 from several websites, still available. M46 manual and ZF Automatic cars use the same part. For d24 nonturbo cars the update part number is 1035613, still available at various websites for around 30-60. Last edited by RedArrow; 02-24-2018 at 09:37 PM.